Muslim Southeast Asia refers to those areas of Southeast Asia that have significant populations of Muslims. This subject guide aggregates library resources, research tools and online digital collections related to Islam in the countries of Southeast Asia. The region geographically refers to the area located on the south of China, east of India, west of New Guinea and North of Australia. It includes countries such as Brunei, Burma, Cambodia, East Timor, Indonesia, Laos, Malaysia, Philippines, Thailand, Singapore and Vietnam. 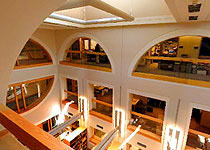 The guide serves as an introduction to resources available through Cornell University Library, as well as electronic resources available freely online. 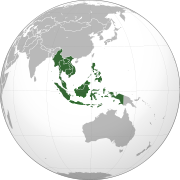 Often called the “Muslim archipelago,” Southeast Asia is one of the most populous parts of the Islamic world. There are more than 240 million Muslims in this sub-region of Asia, counting for about 42 per cent of the total Southeast Asian population, or about 25 per cent of the total world Muslim population estimated at 1.6 billion. The majority of Muslims in Southeast Asia belongs to the Sunni (Sunnite) branch of Islam, and follows the Shafii school of Muslim jurisprudence. [Source: Oxford Islamic Studies Online, viewed in August 2014]. Islam is the official religion of Malaysia and Brunei, and is one of the officially recognized religions of Indonesia, Thailand, and the Philippines. Southeast Asian Muslims come from many ethnic groups, speaking different languag es such as Bahasa Indonesia, Malay, Javanese, Maranao, Maguindanao, Tausug, Thai, Chinese and Burmese. Historically, it is not exactly clear when Islam came to Southeast Asia, and whether Muslim Arabs, Persians or Indians, etc. 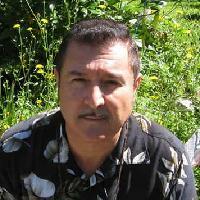 were its main disseminators. But there is little doubt that it was spread for the most part by merchants in the 12th century. 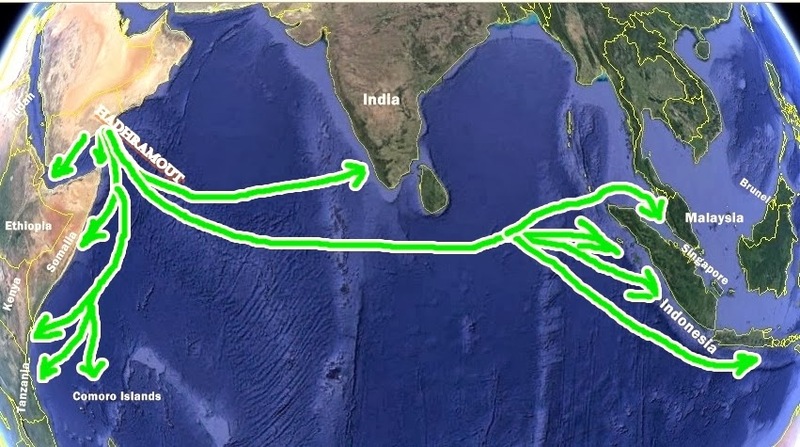 Traders and preachers from Gujarat in India and China navigated the waters of the Indian Ocean, the Straits of Malacca, the Gulf of Siam, and the South China Sea. The 13th century saw the establishment of the first Islamic kingdom, in Pasai in Sumatra. 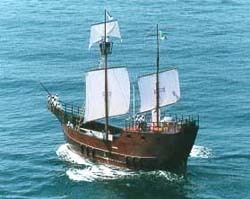 By the time othe Portuguese arrived in the early 16th century, Islam had a firm footing in maritime Southeast Asia. This co ntinued to develop in the 17th century, when Arab traders and scholars/holy men from Hadramawt (a.k.a. Hadhramout and Hadhramaut, Southern Arabia) settled in the area. These merchant missionaries introduced Sufism, a form of Islamic mysticism frowned upon by conservative dogmatic and doctrinaire Muslims. Although almost all South-East Asian Muslims are Sunni, Islamic Shia (Shīʿite) holidays have entered the local tradition. Over the decades, many Southeast Asian Muslims who travel on Hajj-pilgrimage or to pursue religious studies in Arab countries started a translation movement that rendered Islamic religious texts in Arabic in the regional languages. This movement mainstreamed Southeast Asian Islam along orthodox lines. As a result, two types of Islam emerged in the region. The first, known as abangan in Javanese, or kaum tua in Malay, and khana kau in Thai, represents local (syncretic) Islam different from the orthodox Islam, called santri in Bahasa Indonesia, or kaum muda in Malay, and khana mai in Thai. Both types continue to co-exist today. In addition, there are two other influences coming from the Middle East: puritanical Wahhabism from Saudi Arabia, an Eighteenth-century reformist/revivalist movement; and the Islamic modernism and revival, which are late Nineteenth and early Twentieth centuries responses to Western colonial influence and to the political decline of Muslim powers. Islam in Southeast Asia today is witnessing a contest between all the above types of Islam as local Muslims seek to form their identities as citizens of both Muslim-majority and Muslim-minority countries. As befits a topic that is global in scope, increasingly controversial in nature, and the focus of academic inquiry for more than half a century, the literature on political Islam is voluminous. The readings presented here represent some of the most important efforts to study contemporary Islamism using the tools, methodologies, and academic rigor associated with the humanities and social sciences. Though hardly exhaustive, this list will provide the reader with a sense of how the study of political Islam—in major publications either written or available in English—as an object of academic inquiry has evolved over the years. What Killed the Promise of Muslim Communism? John T. Sidel [The New York Times * RED CENTURY OCT. 9, 2017].